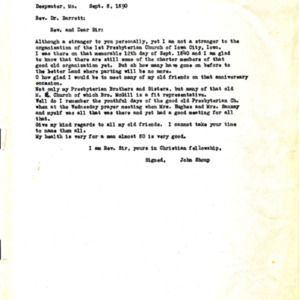 Letter from P.E. 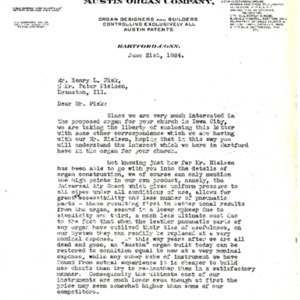 Nielsen of the Austin Organ Company to Henry Fisk regarding the proposal for organ installation at the church. 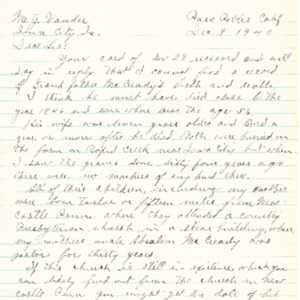 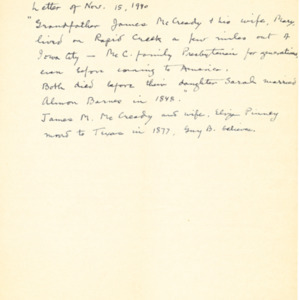 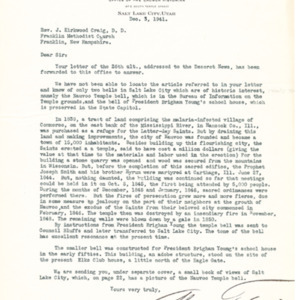 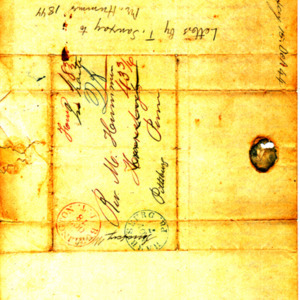 Letter from Theodore Sanxay to Rev. 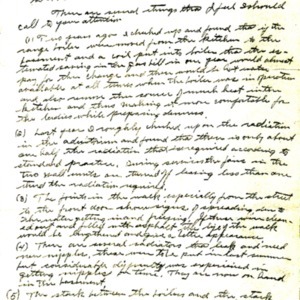 Michael Hummer, written during one of Rev. 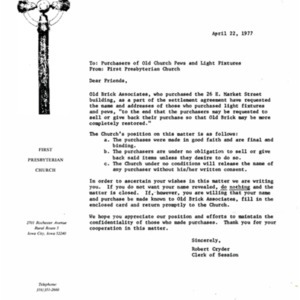 Hummer's trips out east to raise funds for the construction of the Church. 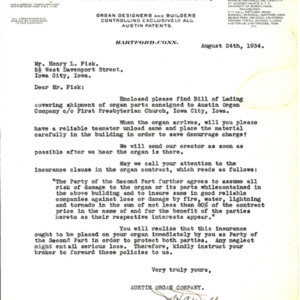 Letter from HA Walker of the Austin Organ Company to Henry Fisk regarding special features and attributes of Austin Organs, to persuade Mr. Fisk to purchase one for the church. 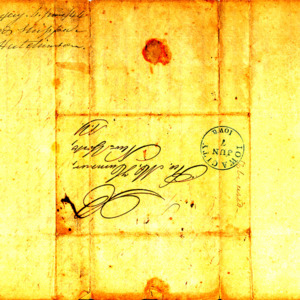 Letter from H.A. 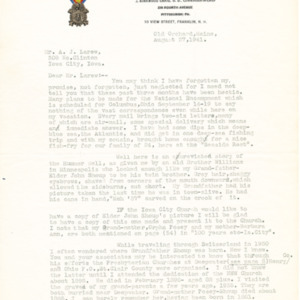 Walker of the Austin Organ Company to Henry L. Fisk. 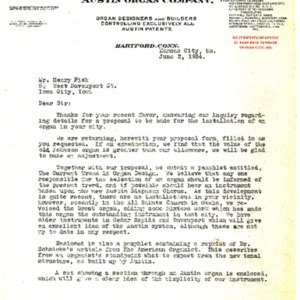 The letter relates to the shipment of organ parts to Iowa City, and gives some instructions on what should be done when the parts arrive. 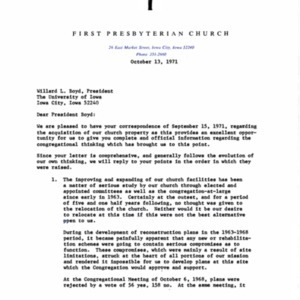 Henry L. Fisk was an architect.